Atletico Madrid have confirmed defender Lucas Hernandez sustained a knee injury in the derby defeat to Real Madrid - but there was good news for the club concerning Diego Costa's comeback. After suffering discomfort in the 3-1 loss at the Wanda Metropolitano on Saturday, Lucas - who played the entire game - has been diagnosed with a sprain in the medial side of the right knee. 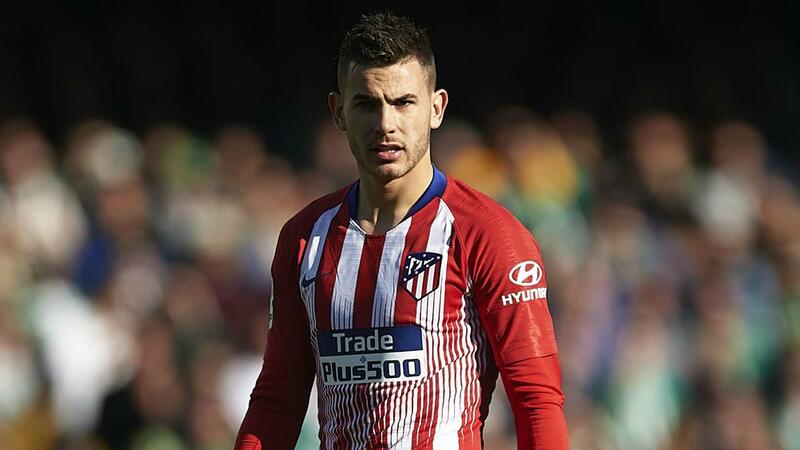 The France international - heavily linked with Bayern Munich in the January transfer window - damaged the medial collateral ligament in the same knee in December, though Atletico have not said how long the defender will be out of action following the latest setback. Atletico travel to Rayo Vallecano in LaLiga action at the weekend before hosting Juventus next Wednesday in the first leg of their Champions League last-16 tie. The Spanish club said last month they hoped Costa would be back in time to feature against Juve, having undergone surgery on a foot injury late in 2018. The striker was pictured in training with his team-mates on Tuesday, raising hopes he may be in contention to face the Serie A champions. Defender Stefan Savic - who suffered a grade two hamstring tear in the 1-0 win over Levante on January 13 - was also back on duty with Diego Simeone's squad.